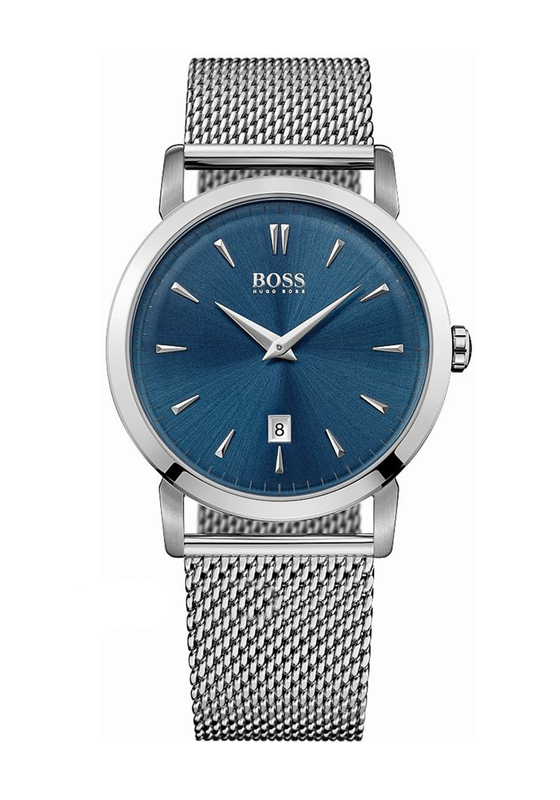 Hugo Boss presents this distinctive watch which has a stainless steel mesh bracelet strap. A smart accessory to add to your collection. 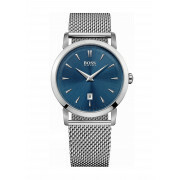 The circular bezel features a striking deep blue face with silver time markers and a date dial.